Box Lunch, Dinner Buffet, Awards, Silent Action and Raffle at the Clubhouse immediately following play. Includes water, soda and beer. 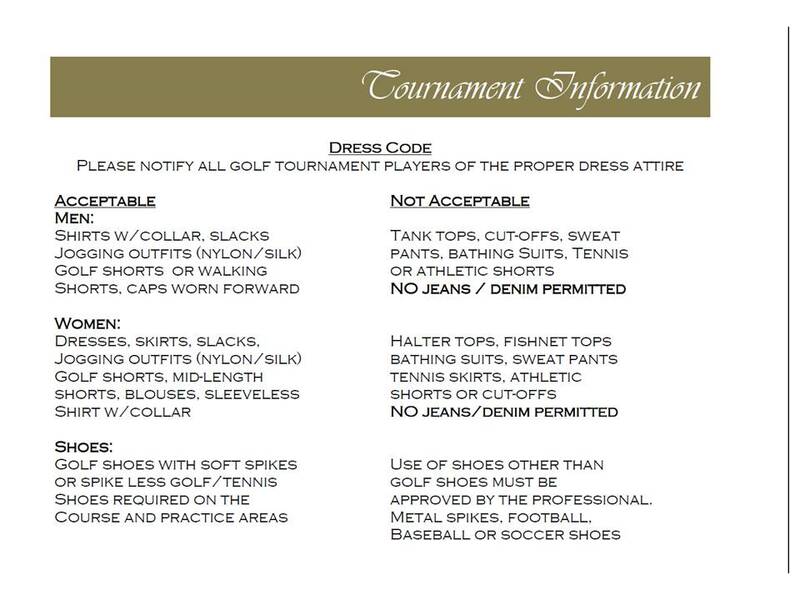 Please note that proper golf attire is required by the course. Awards ceremony, buffet and raffle at the Clubhouse immediately following play.